Whether you have made up your mind about purchasing a private jet or you’re simply interested in knowing the cost of one for future reference or just out of curiosity, you’ve come to the right place. Without a doubt, a private jet is a very serious investment and it’s extremely important to know what you’re getting into before making a final decision on which one to purchase and how much exactly it will cost you. There are myriad reasons why people purchase private jets. Some people purchase private jets simply because they can afford to or just so they can go on holiday on a whim. On the other hand, many individuals and private companies also choose to purchase private jets because of necessity. Owning a private jet affords one the privilege of crossing time zones in record time or avoiding the hassle of long lines at baggage or security. Another foremost reason why people choose to purchase private lines is for privacy. Unlike with commercial airlines where you have zero control over who gets on board the plane with you, this certainly with the case with a private jet. You get to choose every single person who rides the plane – from the pilot to the person who will be seated next to you. Overall, it is crucial and practical to carefully assess whether purchasing a private jet is the right choice for you. In a nutshell, the prices of private jets vary greatly depending on their size, functions, furnishings and capabilities. To give you an idea, a light jet that can accommodate five to eight people will set you back by $3 million to $8. For a midsize executive jet, be prepared to shell out $9 million to $16 million depending on your choice. You will be able to board nine passengers at the most. 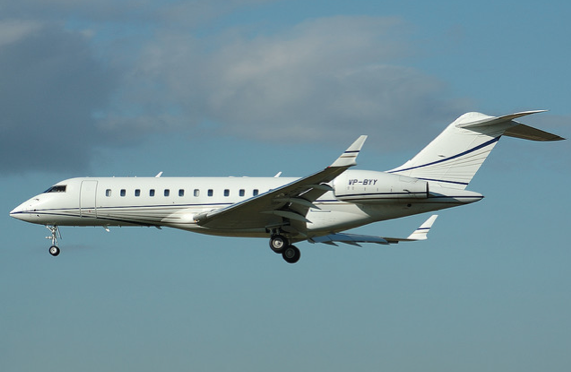 Last but certainly not the least, a large private jet will cost between $17 million to $45 million. You will be able to transport 12 passengers. Of course, the cost of a private jet will plummet significantly if you choose to purchase one that is pre-owned as opposed to a brand new one. If you have your mind set on buying a brand new jet but have a limited budget, consider more conservative models such as the Super King Air Turboprop or the Beechcraft King Air. The aforementioned plane models will cost between $4 million to $7.5 million. On the other hand, if budget is no object, then why not conduct some research on the Dassault Falcon, Bombardier Global Express XRS, or the Gulfstream V-SP? All of the said plane models are top of the line in the world of aviation and you surely will not regret purchasing them. To give you an idea of the price range, the Dassault Falcon will cost $50 million to $300 million. At the end of the day, the choice of whether to purchase a brand new or previously owned private jet is yours. What is important is that it suits your needs and budget.